Quality service and parts you can count on. 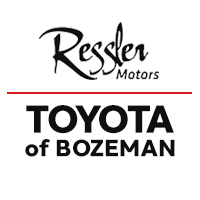 For more than fifteen years, Ressler Toyota of Bozeman Service has been exceeding the expectations of our customers and we look forward to continuing to meet our customer’s service needs. Our team of trained, professional service technicians has the latest training and is provided with the latest in specialized technology to diagnose and provide precise analysis. At Toyota of Bozeman Service, we are committed to the ongoing education and training of our personnel to provide you our customer the best possible personal experience. Click Here to View Our Multi-point Inspection. We look forward to taking care of all of your vehicle needs here at Ressler Toyota of Bozeman Service. If you have any questions about your Toyota vehicle please do not hesitate to give us a call, email or simply stop in.